If you want or need more places to sit in your kitchen, but are limited in space, then you may want to check out the Bayside Furnishings Gas Lift Bar Stool. Add 2 or 3 of these stools to a counter or island in your kitchen and you now have additional places to sit and eat. This comes in handy if you're eating alone or you're constantly on the go where there's not enough time to set the table or to have a proper sit-down meal (like breakfast). What's great about the Bayside Furnishings Gas Lift Bar Stool is that it's fully adjustable, so you can set its height accordingly. 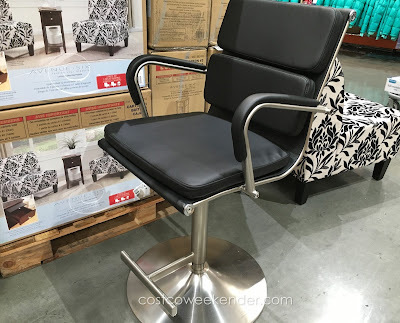 It even has armrests for further comfort. I just wish the bars I frequent had these stools - I'll definitely spend more time there if they did. 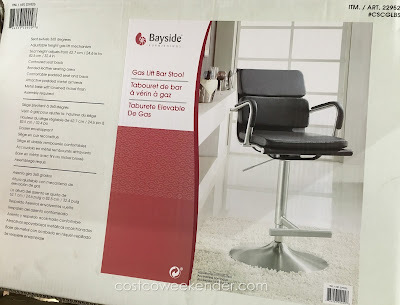 Hello @Ross, other than trying to find the Bayside Furnishings Gas Lift Bar Stool in the various Costco locations around in your area, the only other way I can think of is to try to find something similar online at Amazon, Walmart, Target, etc. 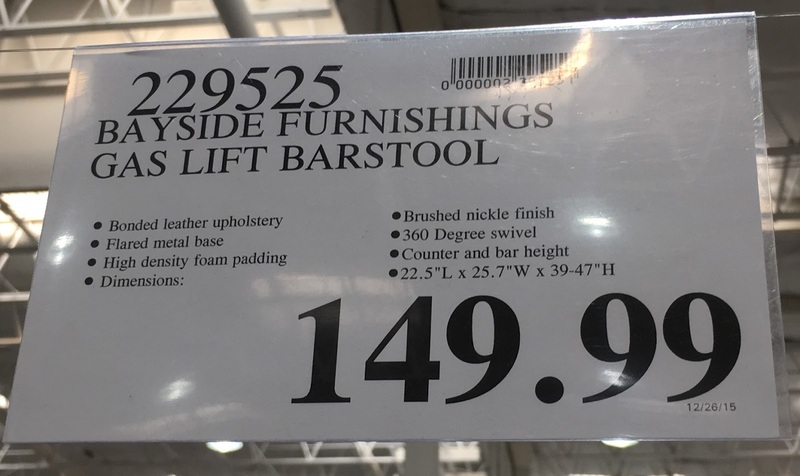 although it may not be the exact stool. It may be just good enough if you're not too particular, but it sounds like you really want the exact same one. You may also want to check out eBay. You'll be surprised by what you can find second hand. Good luck!